very effective in aiming for longer term movement rather than day trading kind of hit and run tactic. So, it is particularly good for people who are having a full time job, and want to handle their own money in trading the market. Fig. 1 The first form of Point & Figure Chart found in old book published in 1898. Fig 2. 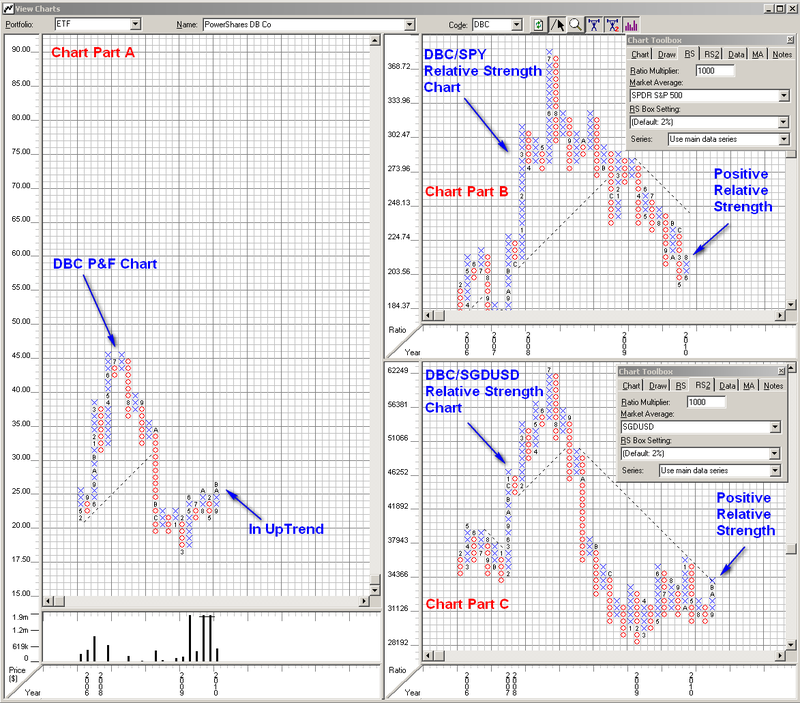 P&F Chart on Commodity ETF (DBC) dated 6 Nov 2010(EOD). Over time, with the aid of computer, Relative Strength Benchmarking feature is also added in the P&F Chart. The Chart (Fig 2.) 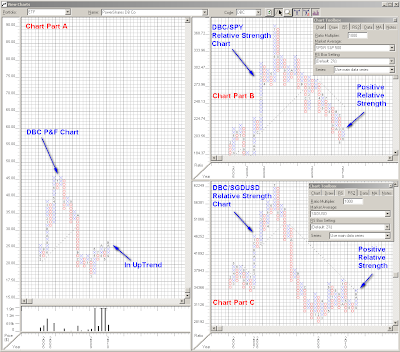 shows the P&F diagram of the ETF- DBC, along with the Relative Strength against SPY and SGDUSD (Singapore Dollar vs US Dollar). The first Relative Strength is to benchmark the S&P500. One should always remember to select a vehicle that is moving faster than the broad market index. For the second Relative Strength, one can choose to benchmark a currency exchange rate. For example, a foreigner may like to buy some stocks or ETFs in the US market, but worry about the profits may be eroded by the weak USD against their home currency... By having this Relative Strength benchmark, one can make sure that he choose a vehicle that is moving faster than the change of currency exchange rate. Many traders who know Technical Analysis may not know much about this tool or just ignore it. The main stream media, of course, do not publicize such tool that encourage patient which would lead to low trading frequency and hurt trading firms' commission. 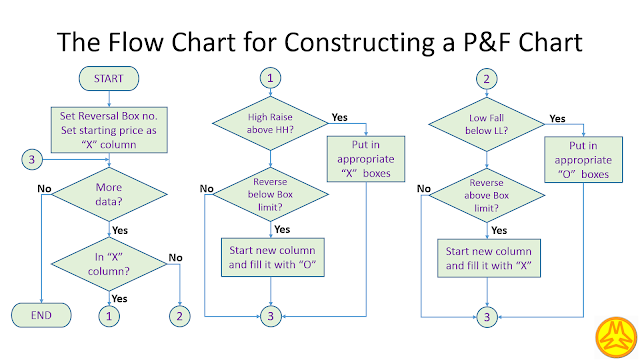 -> P&F Charting Tools Online (Free). -> Ebooks (Some are still under copyright). Well. Recently, I heard of quite a few cases that some people due to what ever reasons, get out of their jobs in the corporation and just want to go trading for a living... Thinking that the success in one field can directly port over to the stock trading business within a short period of time. Such as buy a trading system, attend a class or just read a few books. This real story may help one to realize that success in one field or many fields such as a genius like Newton can fail in the Stock Market speculation miserably. one that will always go up!" Generally, I do not like to delete others comment regardless it is good or bad. Also that this blog actually discourage people to listen to any tips at all. So. Many thanks for you good words, "stock market tips", and wish you a good success in marketing your website somewhere else. PEAK OIL:"Hello, World! 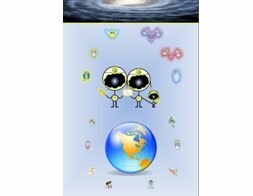 I am here."